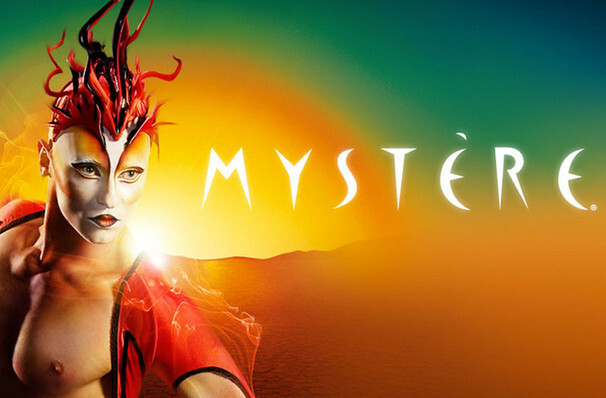 Why See Cirque du Soleil - Mystere? 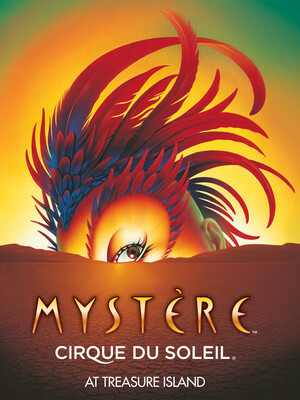 Mystere was the first Cirque show to gain a permanent residence at its own theater in Las Vegas, after first opening at Treasure Island in 1993. Since then it has been seen by approximately 12 million people and in 2010 saw its 8,000th performance! The show focuses on the origins of life in the universe, with mythological elements. This theme is the inspiration for the show's costumes, set design and music. One such costume is the Firebird, who has red feathers and accents that give the impression of embers flying through the air. It's a true exhibition of strength and stamina, one performance is on a rotating dome that demands extreme precision from the artists! 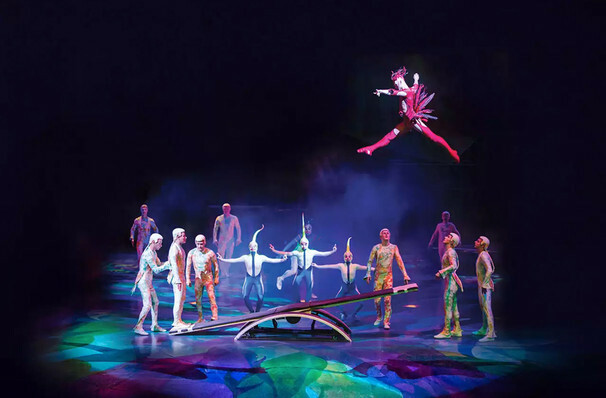 Honored eight times as "Best Production Show" by the Las Vegas Review-Journal Mystere has an international cast of 72 performers featuring dancers, singers, musicians and champion-caliber acrobats. 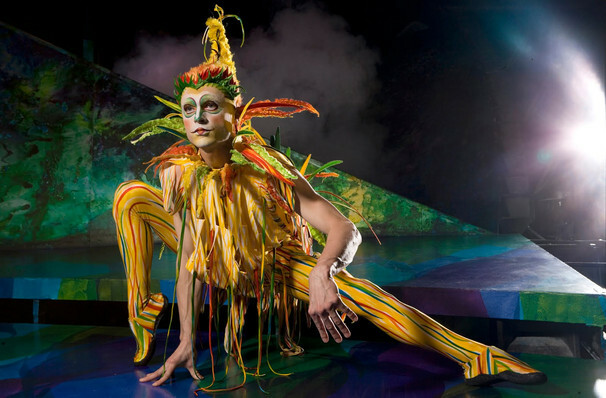 Mystere by Cirque du Soleil may be inappropriate for children aged 5 and under. Children under 3 years of age will not be admitted into The Mystere Theater. Please be advised that strobe lights and theatrical fog are used during performances. Guests who react to either of these effects should note that they attend the show at their own risk. Seen Cirque du Soleil - Mystere? Loved it? Hated it? Sound good to you? 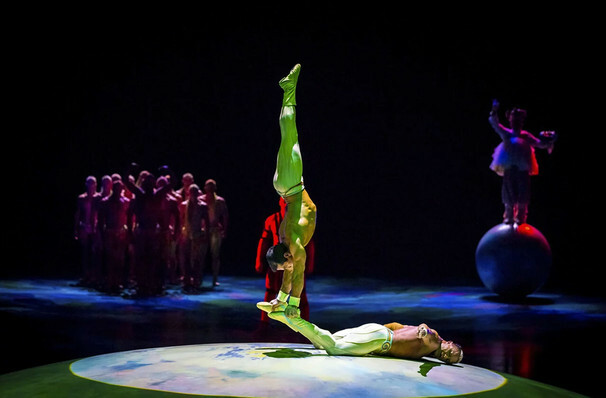 Share this page on social media and let your friends know about Cirque du Soleil - Mystere at Mystere Theater. Please note: The term Mystere Theater and/or Cirque du Soleil - Mystere as well as all associated graphics, logos, and/or other trademarks, tradenames or copyrights are the property of the Mystere Theater and/or Cirque du Soleil - Mystere and are used herein for factual descriptive purposes only. We are in no way associated with or authorized by the Mystere Theater and/or Cirque du Soleil - Mystere and neither that entity nor any of its affiliates have licensed or endorsed us to sell tickets, goods and or services in conjunction with their events.